Reiki is a gentle and comfortable form of non-invasive healing. 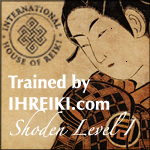 Reiki is a method of healing and spiritual development with its roots in Japan. 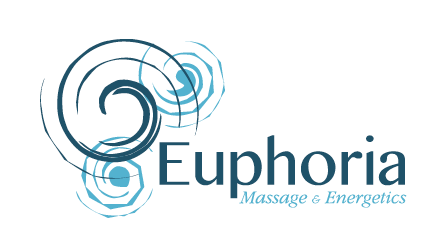 Though there are many branches of Reiki today, the system Euphoria Massage & Energetics practices and teaches is ever-deepening into its original Japanese origins. Reiki is comparable to other forms of energy work, such as Healing Touch and Qigong, and is regularly employed in hospitals here in the US and abroad, as part of a complimentary and alternative medicine regimen. Reiki has proven to help with recovery of diseases such as cancer. Reiki can also be thought of as a means of coming back to and maintaining balance in ones own being, and therefore in ones own life. Experience the benefits yourself! In its simplest form, from a client perspective, Reiki is a hands on method of healing that supports health and well-being and evokes, above all else, in my experience, a deep experience of relaxation and calm. This is the medicine of Reiki: it helps one to return to the natural, relaxed state and rediscover one’s own healing potential within the body-mind. Though Reiki sessions received from another can be very powerful, the most powerful and effective way to use Reiki is to learn the practices and techniques on your own and incorporate these into your life to support health and harmony in your own body, mind and life. Reiki sessions can be scheduled by appointment and last seventy-five minutes or longer. Reiki is gentle and comfortable and does not require the client to get undressed. One simply lies down on a bodywork (massage) table and is treated to a delightfully relaxing experience in which sleep may or may not occur. It is good to have some extra time (15 or 20 minutes) available after the session to be able to “come back” to ones senses fully and be able to talk about ones experience (if desired). Reiki can be considered spiritual in nature, but there is no religious dactrines that accompany its practice, so anyone can benefit from it. The more open and “willing” the participants to the possiblity of beneficial outcome, the more beneficial it can be -in my humble opinion (JK). Reiki treatments can be great for everybody from every walk of life, and so can personal Reiki practice. One does not have to “belong” to a certain religion or belief system in order to reap the proven health benefits of a meditation practice -which is a large part of traditional Japanese Reiki practice. Reiki means “Spiritual energy”. Reiki training is available in the form of tiered classes, levels 1, 2, and 3. Jacob Kelly is a certified Reiki teacher (sometimes referred to as a Master in the West -though becoming a master of anything takes a lifetime of dedication) and continues his Reiki education that began in 2004, by practicing meditation, contemplation of the precepts of Reiki and hands on healing daily. Jacob has been certified to teach under the Usui Reiki Shiki Ryhoho lineage since 2005 and is now Shinpiden (level 3 -mystery teachings) certified in the more traditional lineage of Japanese Reiki, Usui Reiki Ryoho which means Usui (the founder’s name) method of healing with Spiritual Energy. If your are interested in Reiki training from Jacob Kelly, please contact Jacob by e-mail or phone to register. A list of upcoming Reiki classes can be found under “Reiki Classes”.